Sentite provides solutions for Value Selling and Innovation. We will help you understand your market, your product and your future through the value your products deliver. To get you started with Value Selling we use data from your existing systems. We also use the hidden knowledge that's already present within your organization. To understand how we think just continue reading. This page is dedicated to knowledge sharing on Value Selling or Value Based Selling as some might say. Over the last couple of weeks we started a subsidiary to Sentite to promote programming for kids (and adult too of course). Initially we planned to do this with Arduino, but after some thought we figured a more package and ready to use would be a better introduction. This Christmas our daughter got a small robot, the same that we used at CoderDojo Uppsala. After some research we realized this was why much better that we had ever imagined. It can be programmed with blocks and python, it has several sensors, precise servos and blinking lights. The plan ahead is to translate all material provided under Creative Commons licensing. We have already finished the first 23 lessons for the blocks programming including the teachers manual. Read more about it at MeetEdison.se (a swedish blog about the Edison Robot). If you're interested in buying a robot you should head to CodeKid.se where we sell various packages of the Edison robot and accessories to go with the Edison robot. I've been asked to sign up as a public speaker in Sweden to talk about Innovation. Here's a short introduction on the topics I usually talk about. "Magnus Fasth works both as a lecturer and as an advisory consultant with a focus on innovation and development. Magnus has twenty years of experience in managing organizational development in innovation, sales and marketing in leading Swedish industry. Magnus is a popular lecturer who positively communicates important messages and creates interest and commitment to the audience. We work practical and business-oriented to help you in the best possible way and lead the work to create strategies and dedication to building a business with innovation in focus. We provide suggestions on how to plan, guide and maximize the impact in both internal and external change work. He always takes the starting point of the creative workshop and how it will be shaped to achieve different goals during the change work. Magnus leads short and long-term assignments with one and the same goal - a company that takes advantage of the employees' ideas and experiences to jointly create a successful company with competitive products, services and business models. The lecture on innovation is divided into two parts; how to create a more innovative climate and how the company can work on new ways of innovation. The first part is a lot about attitude and where we find ideas for innovation. It's about trends, observation of the world around us and, above all, a new collaboration with colleagues, partners and customers. Topics for the first part are key factors for successful innovation work; empathy, finding problems, taking risks, creativity, networking, observation, resilience and reflection. Magnus talks a lot about the formula for creating the creative workplace. How is it that the coffee machine is where the best ideas are created? Today there is an overriding belief that technical solutions will pave the way into the future when the big challenge really is something completely different. It is the non-technical innovation that builds successful companies, technology and digitization are of course included but operate primarily as accelerators. Magnus examines how you, as a company with simple means, can create an organization that makes innovation a natural part of your daily work and how, as a manager, you create the right conditions for committed innovation. The second part of the lecture is based on established research how product and business model can be developed to meet a changing world. He reviews 14 effective ways to strategically develop your market offer, all presented with clear, relevant and interesting examples. The questions discussed in the second part of the lecture may be a matter for management and managers, but the presentation is designed to make these strategic choices relevant to the entire company. Lectures as above supplemented with exercises in consultation with the customer. Magnus is a civil engineer, lecturer and consultant. He captivates fascinating stories with a high recognition factor and a slight scoop humor. The stories are derived from their own and others' experiences, all with the common theme of developing creative work in which strategic change is in focus. Magnus's broad experience and understanding means that he is adept at relocating content to something that becomes concrete to all audience." 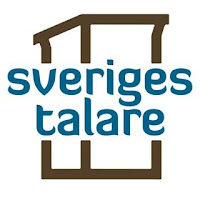 More info in Swedish can be found at Sveriges Talare. What can we do with statistics from CPQ? CPQ is a goldmine when it comes data mining. That's because we have very good data quality in CPQ Analytics due to the fact that everything when thru the configurator. Even if the customer only answered one question we will still have the full specification – what they wanted to buy, what they got in their quote. This is more than you can say for the average CRM-system, just to make a comparison. - How do you see the product? - What do the customers prefer? - What’s the value of our different offerings? But then we get this survey coloring, an imaginative world of how sales wants thing to be. One thing that I think is very fascinating with this CPQ analytics is when we add a layer of guided selling. Then we can do a very interesting mapping. When we start up with the customer needs the configurator translates this to product selections. Then we track whether or not we win the deal. This means that we can actually see what customer demands that correlate with won deals. This tells us a lot about our competitive edge in our market segment. That’s the starting point for understanding in what situations we are delivering a superior offering to our customer. There are a few concepts that we need to understand with CPQ Analytics. There’s a big difference compared to normal sales analysis. When sales is analyzed it’s only looking at the deals we win. That will not tell us so much about market trends or our competitors. If we instead focus on what we offer we will get a completely different picture. With sales analytics we only see the sunny side of things, what we actually sold. We don’t see what the market was requesting and how well we fulfilled that need. With CPQ analytics we can actually see in what segments we have a strong market offering, where we have potential for growth and what segments we should actually ignore. To learn more about CPQ Analytics check out the video below. This introduces CPQ Analytics, talks about best practice and shows a demo of what can be achieved. Let’s stop and ask a short question, where should your company to be in five years? - You should have the best product for your target segments. - By providing the best product you should have a reasonable payback on the superior value your products are providing. It’s essential that your product delivers the best value and most likely that doesn't mean it's the cheapest one. It means that your price must be the most favorable one relative the costs you can save and the increased income you can provide. In order to reach this you need to have an understanding of the value you’re providing. What are the value elements and what is our differentiation towards your competitors? What you need to find is the resonating focus. You need to understand the differentiation between your product and the other products on the market. If we ask the product managers about points of difference there will be a long list. That’s really not what we need. What we need is a short list with valuable differences that are easy to understand. The problem here is that the value is dependent on what segment you are selling to. For one segments some product features are valuable and for another segment a complete different set of features are providing the value. That means that we first have to figure out what segments we’re approaching. The next questions is what creates value within each of these segments? There’s a big difference between value and traditional pricing. To figure out the price is fairly easy, because price is the same for everybody. Value on the other hand is different for every customer and to be able to solve this we need segmentation in order to manage the necessary simplification. That’s why segmentation is one of the first steps in any value selling project. If we don’t understand what differentiates the customers we will never be able to understand how the perceived value differs to our customers. How can we optimize the value for each segment and what should be prioritized in product development in order to reach that goal? Ben is a good salesman at Price motors. He’s been in the business for ten years and has been selling electric motors successfully for some time now. The motors are used in various appliances and Ben’s customers typically buys motors by the thousands. Lately, the competition from some new Asian companies have become increasingly evident. Customers still thinks that Price motors are better, but when faced with the choice of a lower price or a better motor customers tend to choose the cheaper motor. The customers obviously doesn’t seem to understand the true value that Price motors are delivering. Price motors has two choices. Either they try to compete on price by lowering their margins or alternatively they can try to understand what differentiates their motors from the competitors. What does Price motor offer that differentiate their offerings? How can Price motors motivate a higher price and how can Ben continue to close deals just like he did five years ago? Price motors must understand the differences in monetary terms. There are several steps in this process and normally it starts with breaking the product offering apart. Some customers value the precise delivery times, others value the know-how when it comes to system integrations and to other customers the energy efficient frequency control is a driving factor. Depending on what customer you ask, the priorities for these features are very different. That means that the monetary value is also very different. To identify the value drivers is the first step toward customer segmentation. Combining the segment with the value understanding gives Ben the tools he need to avoid the race towards the lowest price. When Ben can prove – both in theory and by actual customer references – that Price motor delivers the best value for money it will radically change the playfield. When Price motors can provide an offering that will decrease customer costs per unit (compared with the next best alternative) with a total of $20/motor who would then buy the cheaper motor when the price difference is only $115 compared to $110? Price motors will not to see their product as a commodity. By understanding, explaining and agreeing with the customer on the value delivered they will instead shift the focus. Shift the focus from price to something else. The value delivered by Price motors becomes concrete to the customer and that’s a proven way to eliminate the need for discounts in order to close future deals. Avoiding the discount race is in this example a net revenue increase of $5 per motor sold. By understanding the superior value Price motors have always delivered Ben can continue for another ten years to successfully sell superior motors. But he needs to understand the value Price motors delivers and he need to be able to prove it. From a sales perspective, that’s what value selling is all about. This presentation introduces the concept of Value Selling. The speaker is Magnus Fasth, now senior consultant at Sentite. The presentation was held at Tacton Systems during their customer and partner day in September 2013. - What customer value does your solutions deliver? - What products offerings wins business? - What underlying trends should influence future development? All these questions links back to sales and calls for some clever analysis. We wanted to see the links between customer need, product selection and likeliness to win the deal. This was a starting point for the value selling project two years ago. Value selling is all about understanding the value the product portfolio delivers to the customers. Value differs from price in one very specific way - it’s different for every customer. Therefore it’s important to initially work with segmentation of the customer base. The next step is to understand the value delivered. This is done using value equations where customer dependent variables are combined with various research results. In this way the value for a specific customer can be calculated, discussed and agreed. One of the important data sources that we identified early in the process is information from the sales configurator. By analyzing what’s selected (and not selected) together with what resulted in sales (and rejected quotations) one can start getting a good idea of the characteristics of offerings which are perceived as good value by customers. This is a concept that we hope we can deliver to more sales configurator customers in the future. That is why we'll start working with Tacton in early February. You might have heard about a website called pricerunner.com, it’s a site to find the lowest price for a specific product. This is the total opposite of how you want your sales force to approach the market. The sales rep should instead present the most valuable solution for each customer. To aim for the lowest price is really no good business and it’s very unlikely that the optimal solution will be the one with the lowest price. In this article we will talk about value selling. Let’s start with some misconceptions. Let’s take these misconceptions as a starting point for the introduction. We’ll talk about price, understanding value and the typical process how to achieve this. This is the homepage of Sentite AB. Sentite offers consulting, methodology and training in Value Selling and Value Based Selling. Sentite AB has developed a sales and product optimization methodology that works with your existing CRM, CPQ or independently. With workshops, analysis and trainings our consultants has helped thousands of sales professionals to increase their sales productivity and the product managers to better understand their product portfolio. We offer customized training to enterprise and mid-sized companies. Our proprietary methodology delivers measurable results.